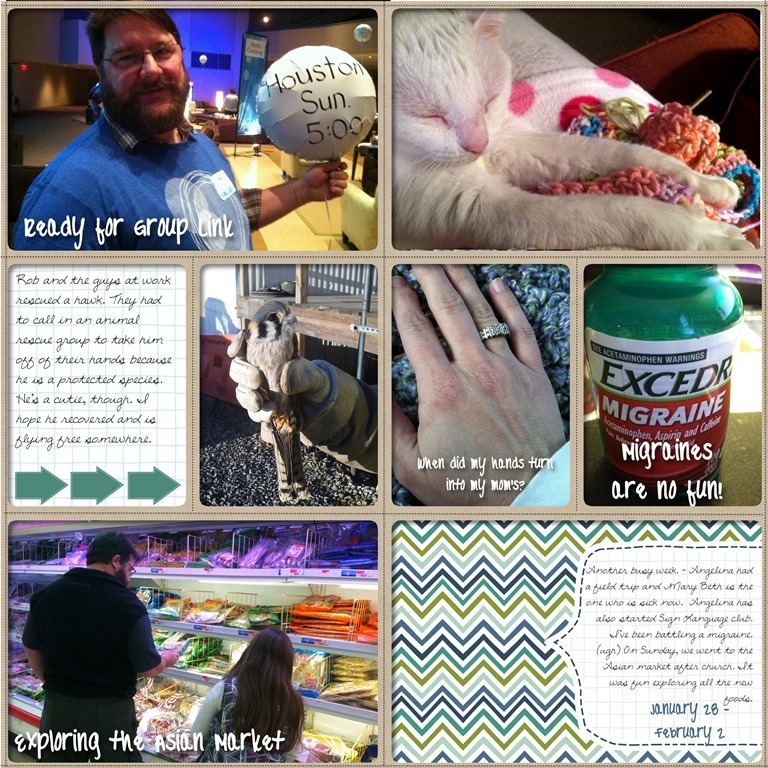 I’ve been working on my Project Life pages again… so enjoying getting back into this project. Still catching up from earlier this year, but making progress feels good. These pages cover the end of January and the first part of February. 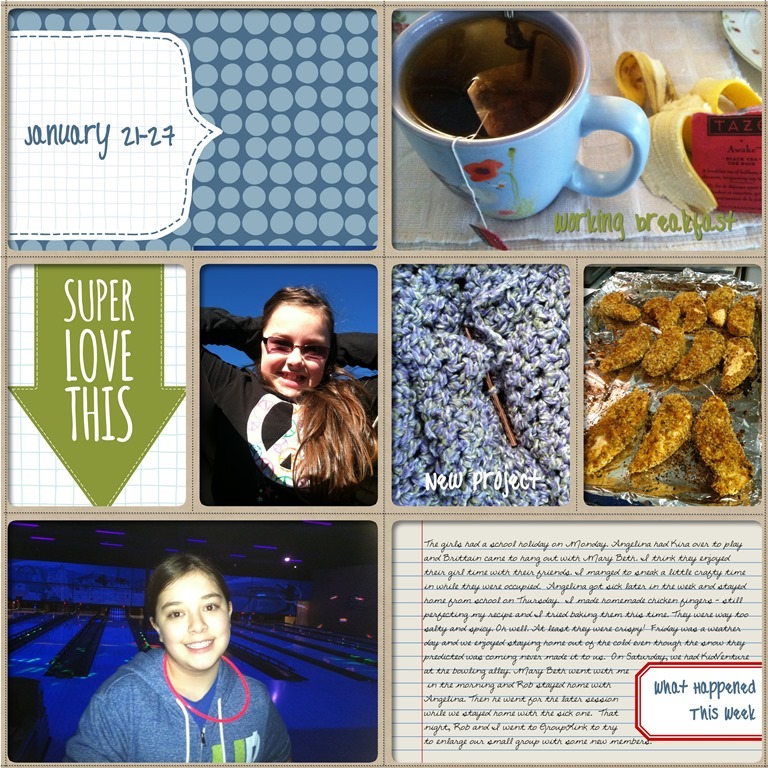 I used the January kit from The Lilypad for most of the elements on this page. I just love the pop of color and how it coordinated with all of the other blues and greens on the photos. I’m also in love with the fonts – one was from Fonts for Peas from Kevin & Amanda. (Pea Captivatingly is the bold font) And one was from the Digi Files from the Daily Digi, but I found it at The Sweet Shoppe now. I really like the handwriting script. 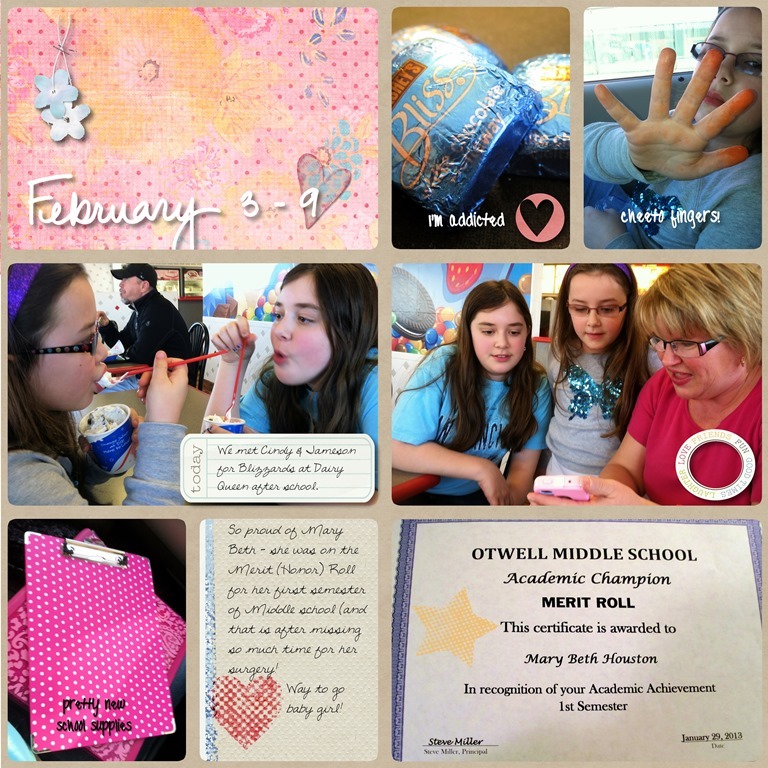 The last page documented Big Girl’s retreat weekend with her friends from church. 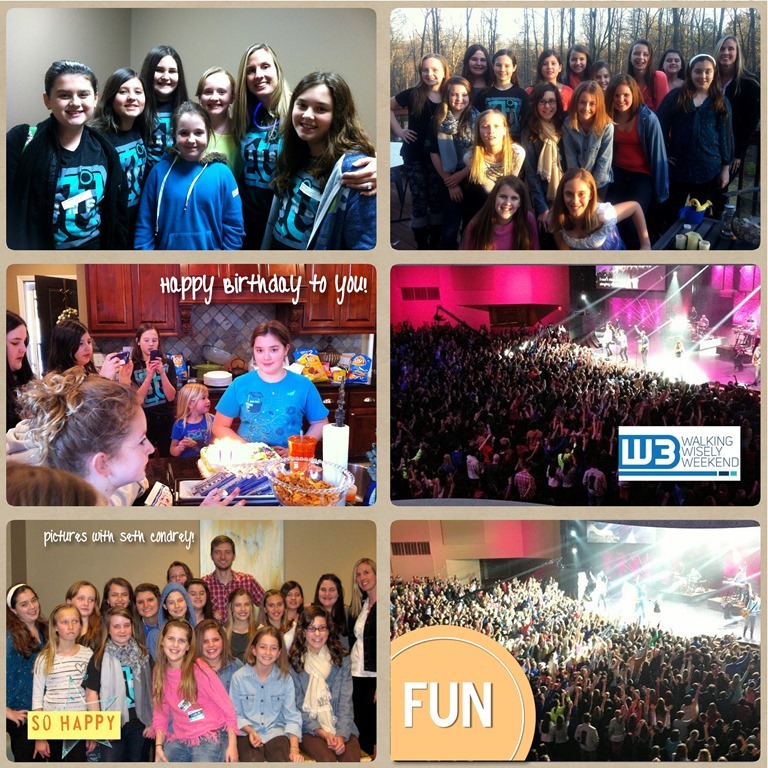 She had such a great time – they got to meet Seth Condrey on Saturday night before the evening session. That’s it for now – slowly but surely I’m making progress. I super love the color echo of the red glow necklace and the red label edge on the first page, plus the tea wrapper tucked up top. Very cool to include the photo of your hand – that’s one of those everyday life things PL is great for. Hurray for making progress! All your pages turned out so nice. Love the colors you chose and the real life pictures included.